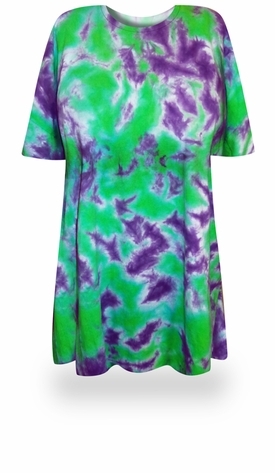 Passion Flower Plus Size Tie Dye T-Shirts. If you have a green thumb or simply love to garden you will love this shirt. Purple and green go hand in hand to create a perfect color combination. A halo of white surrounds the purple bursts on a bed of green.